Home » Post tagged "Buddhist"
Ascending Kali yuga started in AD 500 and ended in AD 1700.Kali Yuga or Iron age is only 1200 year duration in every cycle. The book, The Holy Science, combines the astrological eras with time periods that are described in ancient Hindu works, notably the Manu Samhita. tasya tavachhati sandyam Sandhyamshch tathavidh: . ekapayen vartante sahastrani shatani cha. ” 4000 years , they say , is the KRITI YUGA [Satya yuga or the golden age of the world ]. Its morning twilight has just has many hundreds, and its period of evening dusk is of the same length [i.e. 400 + 4000 + 400 = 4800 ]. decreased by one [i.e. 300 + 3000 + 300 ] etc. SATYA YUGA = 400+ 4000 + 400 = 4800 Years. 12000 YEARS, THE SUM TOTAL OF ALL PERIODS OF THESE 4 YUGAS IS THE LENGTH OF THE DAIVA YUGAS or electric couple, two of which, that is 24000 years make the ELECTRIC CYCLE COMPLETE. Sri Yukteswar (10 May 1855 – 9 March 1936)describes an interesting variant of the Hindu theory of ages. According to him,…the sun, with its planets and their moons, takes some star for its dual and revolves around it in about 24,000 years of our earth-a celestial phenomenon which causes the backward movement of the equinoctial points around the zodiac. The sun also has another motion by which it revolves round a grand center called Vishnunabhi, which is the seat of the creative power, Brahma, the universal magnetism. Brahma regulates dharma, the mental virtue of the internal world. 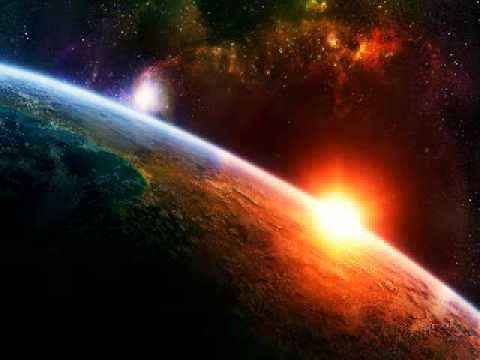 Yukteswar goes on to explain that the sun’s 24,000 year revolution around its companion star takes the sun progressively closer, and then progressively further away from the mystic center Vishnunabhi. In his system, dharma increases as we approach Vishnunabhi and decreases as we draw away from it. The cycle of yugas takes place twice in each 24,000 year revolution. As the sun recedes from Vishnunabhi, the ages pass in the usual order: Satya, Treta, Dvapara, Kali. As the sun approaches Vishnunabhi, the ages pass in the opposite order: Kali, Dvapara, Treta, Satya. 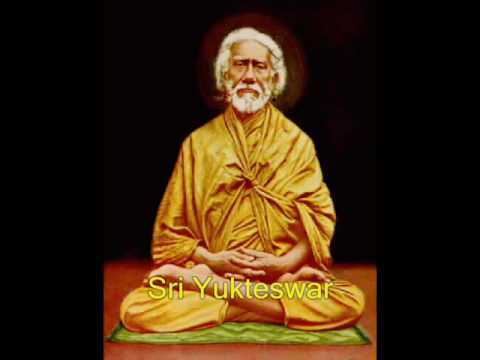 This video is based on Hindu scripture and Sri Yukteshwar’s famous book Holy Science.His Yuga and time-lines correction has been accepted by scientist world wide and has been verified using the Hindu scripture and also Historical evidence.Binary Lab has been discovering the binary star around which our sun revolves as explained by Sri Yukteshwar. Nikola Tesla used ancient Sanskrit terminology in his descriptions of natural phenomena. As early as 1891 Tesla described the universe as a kinetic system filled with energy which could be harnessed at any location. His concepts during the following years were greatly influenced by the teachings of Swami Vivekananda. Swami Vivekananda was the first of a succession of eastern yogi’s who brought Vedic philosophy and religion to the west. After meeting the Swami and after continued study of the Eastern view of the mechanisms driving the material world, Tesla began using the Sanskrit words Akasha, Prana, and the concept of a luminiferous ether to describe the source, existence and construction of matter. .
By the year 1891, Nikola Tesla had invented many useful devices. These included a system of arc lighting (1886), the alternating current motor, power generation and transmission systems (1888), systems of electrical conversion and distribution by oscillatory discharges (1889), and a generator of high frequency currents (1890), to name a few.